-- One of the luxuries of modern life is the ability to step back from the chaos and try to improve our quality of life. Sometimes this is spiritual; we learn to meditate, start going to church, or read books about spirituality. In some instances, we want to be physically healthier so we eat more fresh vegetables and start exercising. We also improve our life quality when we enhance our home space. For a long time, we thought the best way to enjoy our space more was to add to it. The latest knick-knack was put on the shelf or a room was re-painted to reflect modern trends. That mentality that brings us here: to a time when people are looking not to add to a room or house or apartment, but to take away from it in the attempt to make an enjoyable environment. Once you have simplified your space, once you have decluttered, you will find a space that feels as though you breathe easier. In some ways this is logical; there is less to clean or trip over. But an uncluttered space also, somewhat mysteriously, impacts our mood. It gives us a feeling of serenity and peace. I hope you find that serenity once you have made your space a sanctuary by removing unwanted clutter from your life. 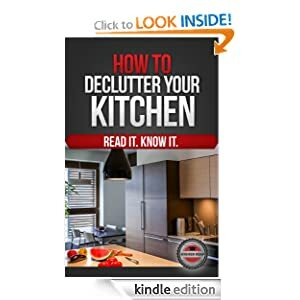 In the pages of this book you will find tips, systems, and methods to help you declutter your home, leading you to that sense of peace and contentment.